282 Pages! "Extremely pleasurable... A gripping story with lots of good, meaty forbidden knowledge and insight into the hacker mindset." -- Cory Doctorow, Boing Boing "Wizzywig is a delight, wryly rendered and packed with dead-on details of the hacker life." -- Wired "Wizzywig is a portrait of a cultural moment when geeks weren't just outside mainstream culture but terrifying to it." -- TIME.com Techland They say What You See Is What You Get... but Kevin "Boingthump" Phenicle could always see more than most people. In the world of phone phreaks, hackers, and scammers, he's a legend. His exploits are hotly debated: could he really get free long-distance calls by whistling into a pay phone? Did his video-game piracy scheme accidentally trigger the first computer virus? And did he really dodge the FBI by using their own wiretapping software against them? Is he even a real person? And if he's ever caught, what would happen to a geek like him in federal prison? 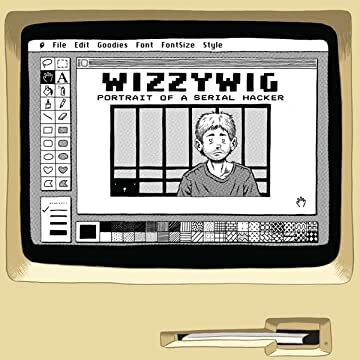 Inspired by the incredible stories of real-life hackers, WIZZYWIG is the thrilling tale of a master manipulator-- his journey from precocious child scammer to federally-wanted fugitive, and beyond. In a world transformed by social networks, data leaks, and digital uprisings, Ed Piskor's debut graphic novel reminds us how much power can rest in the hands of an audacious kid with a keyboard. 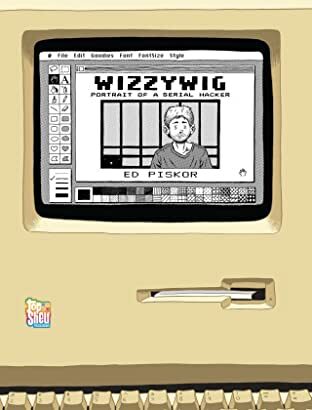 Ed's DIY releases of chapters of WIZZYWIG have already garnered substantial accolades and a cult fan base, and we are eager to share this book with the world.